Clearance Sale! 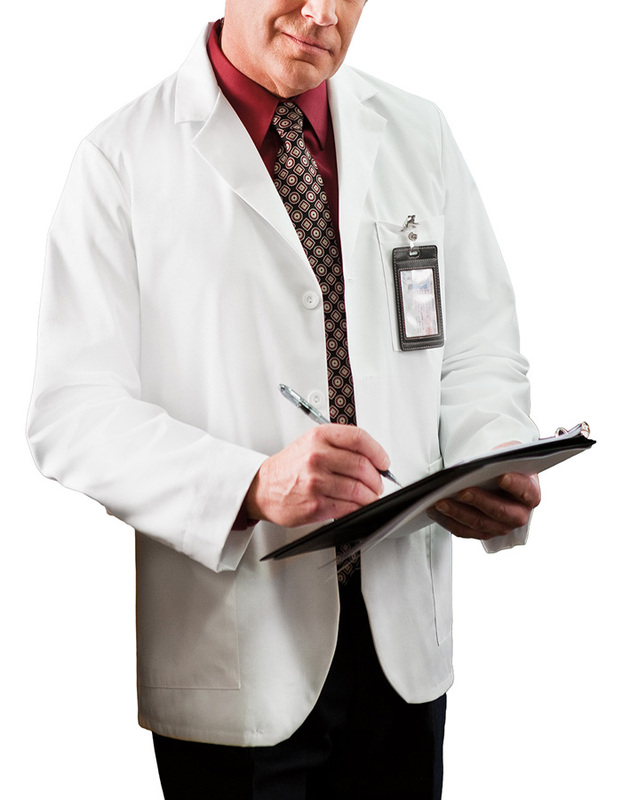 Buy your favourite lab coat in affordable prices form our clearance items. 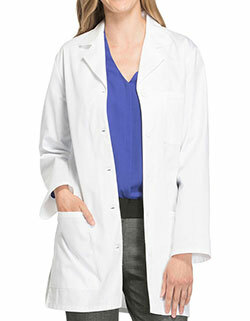 This Meta lab coat features six pockets in total including three inside pockets, two roomy lower patch pockets and one front pocket with a scissors holder. One of its inside pockets has snap loop for keys. 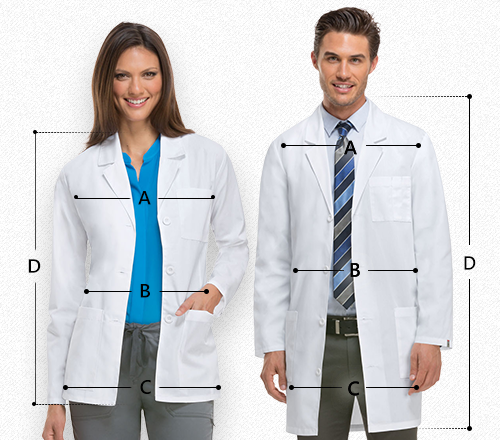 All outside pockets have an inch top hem while the sleeves have 2 inch hem for easy alterations. It has a notched lapel collar and a three-button closure at the front. The two piece sleeve and back offers additional support. 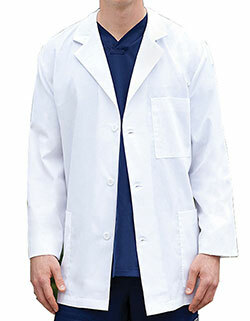 Its fabrication is of polyester and cotton blend which does not wrinkle easily. 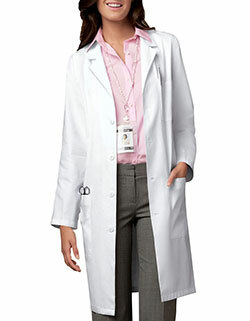 This white lab coat is available in sizes 32-56L. Center back length: 30 inches.